Syrup season is upon us. In the Hudson Valley, maple trees produce sap by the end of February to mid-March. So if you have a sugar maple in your backyard, it’s prime tree-tapping time. 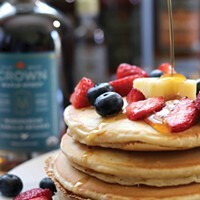 The syrup makers at Crown Maple have offered up their expertise in making that sweet, sticky stuff we love. When temperatures are above freezing during the day and below freezing at night, it creates pressure in maple trees that allows for sap to flow up from the roots and out the tree. With the right tools and process, you could reap nature’s tasty offerings all on your own. Luckily, tree tapping is pretty simple. 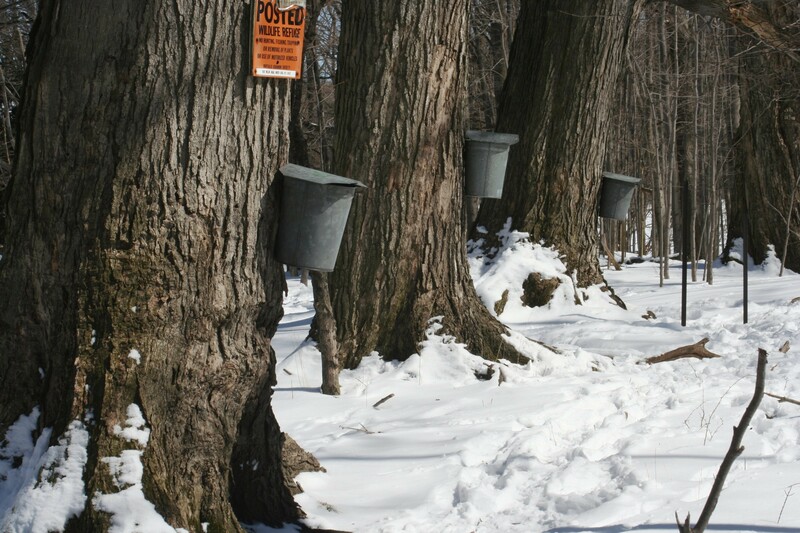 Read about Peter Barrett’s experience with maple tree tapping in the Hudson Valley, or try for yourself. “It’s a pretty basic approach in terms of tapping the tree, putting the tap in, and having some sort of vehicle to collect the sap,” Cobb says. 1) Identify whether you have sugar maple or red maple trees. 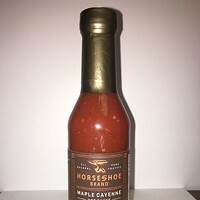 While red maples do produce sap, it doesn't have a high enough sugar content to make syrup efficiently. Sugar maples typically have darker colored bark. If you remember, in fall you can identify the sugar maples by their distinctive leaves and then flag them for tapping. Find one that is at least nine inches in diameter. Or, it can be 15 inches in diameter if you’re using two spiles. 3) Drill a hole 2 to 2 ½ inches deep at a slightly upward angle into the tree. Insert a spile into the hole and gently tap it in with a hammer. 4) Hang a bucket for sap collection. Crown Maple also suggests placing a lid on the bucket with a place for sap to run in from the spile. This helps prevent leaves, bark, and bugs from getting in and contaminating the sap. “The challenge is how long the sap takes to make syrup because sap collects bacteria and that puts off flavors in the syrup,” Cobb says. 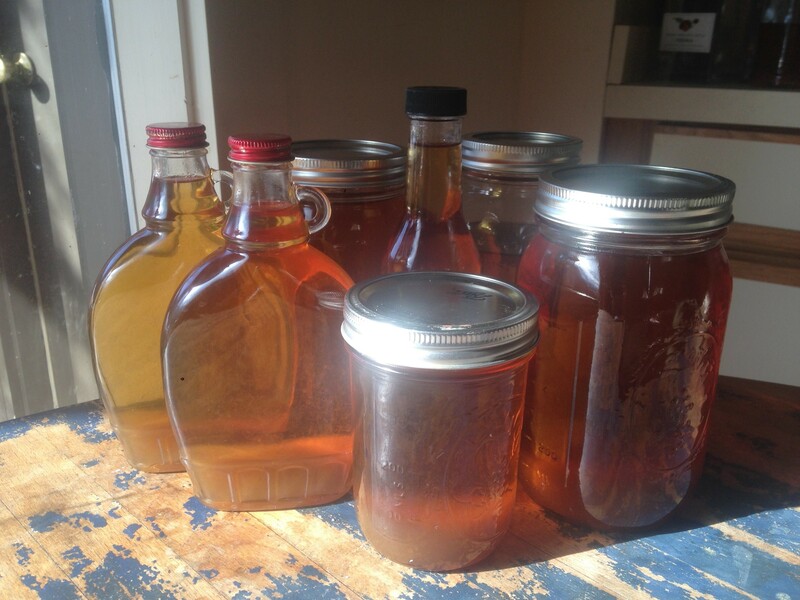 5) Once you’ve got your sap, it’s time to make syrup. Fill a pot about three quarters with sap and boil out the excess water. We recommend boiling outside because indoors, the kitchen surfaces will get sticky. The sap will slowly turn dark brown and thicken. Slowly add more sap as it continues to boil down. Once all the sap retains its sticky consistency, the syrup is complete. One easy way to avoid under boiling or burning your syrup is to buy a candy thermometer. 6) After the syrup has cooled, Crown Maple suggests filtering out any excess sediment using a coffee filter. Refrigerate and use within two months, or freeze to preserve it longer. At Madava Farms in Dover Plains, Crown Maple actually begins its tree-tapping process in the beginning of January. With over 150,000 taps on the estate, the DIY backyard method doesn’t cut it. Cobb says that winter freezes the trees and allows their team to implement an intricate tubing system to gather the sap and make syrup. Throughout March, Crown Maple will offer tours and Maple Weekends where visitors can learn more about the syrup-making process.